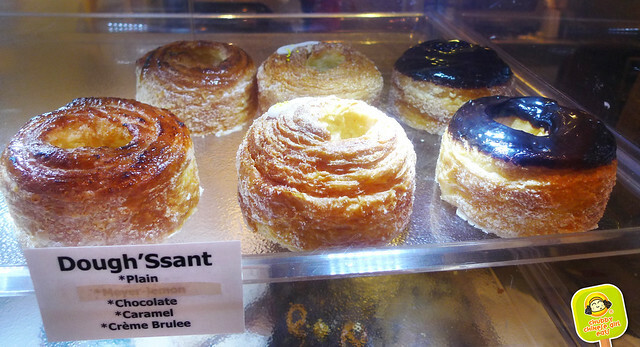 “Copy” versions of Dominique Ansel’s sweet hybrid cronut (you might of heard about it? LOL) have been popping up from NY to Tokyo. 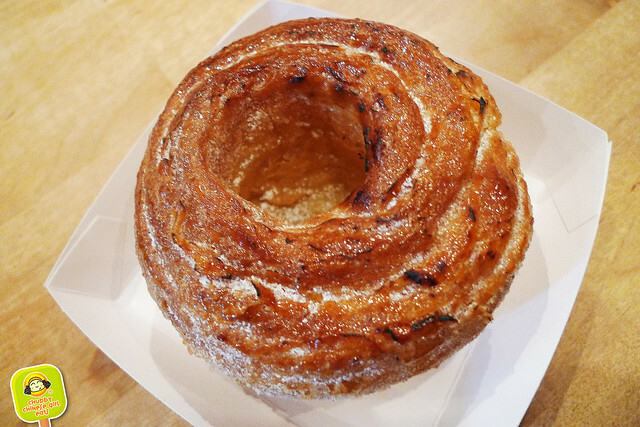 I was surprised that even Chikalicious, one of my favorite dessert spots in the city, have jumped on the cronut wagon. I’ve yet to try the real deal, but one dreamy dough’ssant bite later, I finally understood the craze. If the cronut is anything like this dough’ssant, I’d bet my sweet tooth all this ain’t just a hype and we’ll be eating a lot more of it. Came out fresh and slightly warm to the touch. The delicate, perfectly flaky exterior also had a thin layer of what makes creme brulee divine – burnt sugar crisp. Incredibly light and airy on the inside, the layers are so soft and fluffy. The center oozes out a light and creamy vanilla cream/custard with real vanilla beans. The to die for fragrance of butter, vanilla and sugar with the fun textures (best part of croissant + creme brûlée, genius!) made me a total believer, though it didn’t scream doughnut. I will definitely be back for more. I love how it wasn’t overly sweet, heavy or clogging. The dough’ssant needs some more lovin’. Oh, and no lines! I have heard so much about Dominique Ansel’s ORIGINAL Cronut(TM). It seems like one of those timeless fads that will never get old and always be a trending topic of discussion. 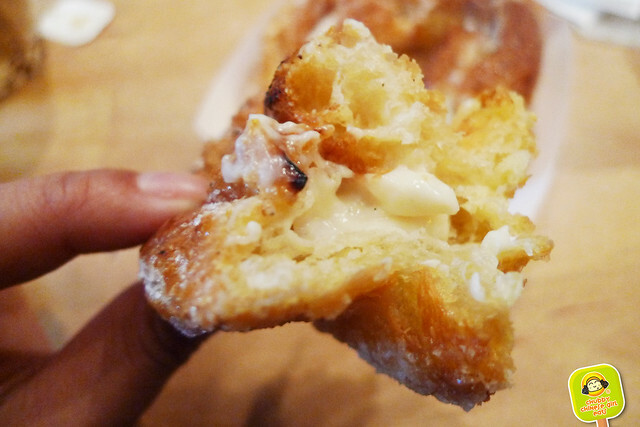 Do you think you will ever write a detailed expose on the ins and outs of said Cronut(TM)? I think it would be absolutely amazing if you did. Not only because I think people would be interested in reading such a piece for decades to come, but an article as such would be the equivalent of candy-emblazoned teddy bears dancing upon the back of rainbow-covered ponies, frolicking in fields of honey and lavender. I’m ahead of you. My fiancé is StalkerBoy! I’ll take his name after we tie the knot.